We are specialists in Wooden Boxes. These are made from the best quality silver wood, jungle wood and rubber wood. The boxes are available in a variety of shapes and dimensions. 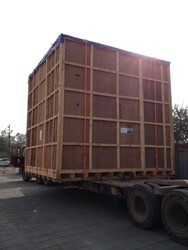 The boxes made by us are easy to handle and transit. 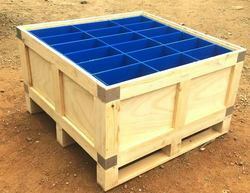 With the comprehensive understanding of the industrial requirements, we are occupied in manufacturing and supplying an outstanding quality array of Pinewood Box With Honeycomb Partisan. These products are manufactured using utmost quality wood and latest technology at our hi-tech manufacturing unit. Moreover, our products have enormous demand in the market due to their robust construction, durability and dimensional accuracy. We have set standards in the domain by providing the finest quality products to our customers at reasonable prices. We offer a comprehensive range of Heavy Plywood Nut-Bolting Boxes. These are made from the strongest quality wood. The range is tested for durability and quality by our team of experts. The raw material required is purchased from the most trusted vendors. We also customise out the range to suit client requirements. 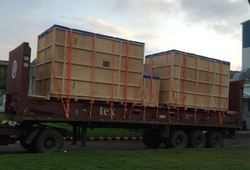 With our expertise in the field, we manufacture and supply a comprehensive array of Heavy Duty Pinewood Box. We are equipped to customise our range to suit the requirements and specifications of the clients. Our range is made from the best quality material procured from the most reliable vendors. These Heavy Nut Bolting Boxes offered by us are reinforced with nuts on all sides and can be bolted. These boxes are very useful for transportation of fragile items. These boxes can be customized to suit the requirements and specifications of the clients. 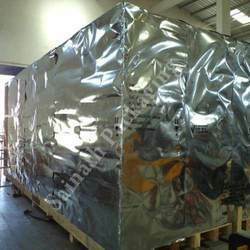 We are providing Export Packaging Box tp pack the heavy machines as per industry standards. 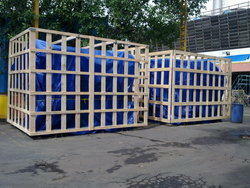 We define Packaging for Seaworthy Packaging with total packaging solution with Container Lashing. We manufacture Packing Aluminum Foil for purpose and these foils are made up of high quality of raw material. 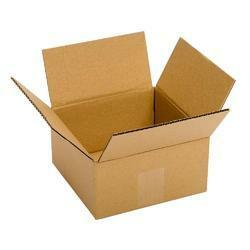 We manufacture and supply the superior quality of Corrugated Boxes. Rendered by us in various sizes and dimensions, the offered heavy duty corrugated boxes are used in packaging industry. For fabricating the offered heavy duty corrugated boxes, our professionals make use of cutting-edge machinery. 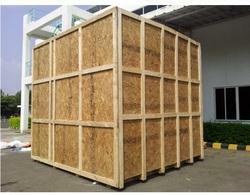 We manufacture & supply a huge range of Wooden Packing Cases manufactured from superior quality plywood. The plywood boxes helps in minimizing unnecessary weight and also plays the role as a substitute for wooden texture. 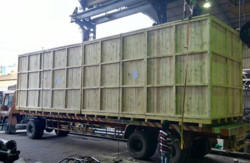 Our range is available in different kinds of thickness.These boxes are manufactured using high grade plywood, and thus provide long life to the products stored. 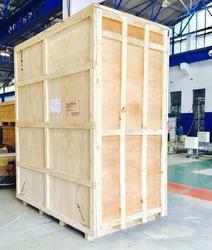 Being light in weight, our boxes can drastically reduce the shipping cost. Our plywood boxes offer the best packaging solution and cater to the needs of customer specification. Looking for Wooden Boxes ?